Our in-house Fabrication Shop designs and custom fabricates rack to match your needs. 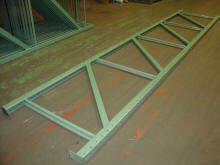 The most common item that is designed and constructed in this shop area is pallet racking. 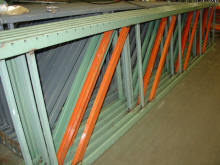 Give us a call, we stock virtually all brands of rack. If we don't have it in stock, we will locate it through our national brokering network. 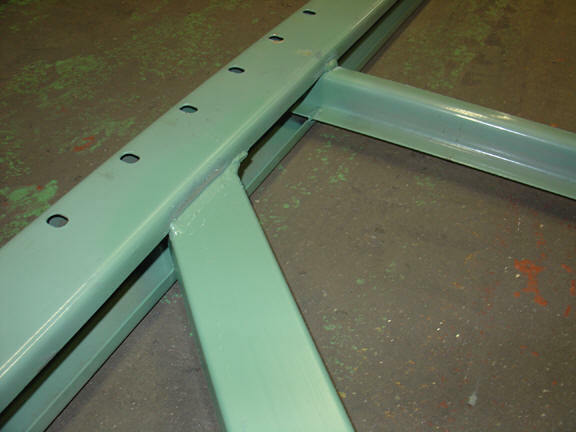 We also stock pallet rack accessories including; row spaces, wall ties, post protectors, shims, and wedge anchors. See our wire decking for warehouse racks.